A special presentation piano recital with the unmissable combination of English and Argentinian composers from different eras. 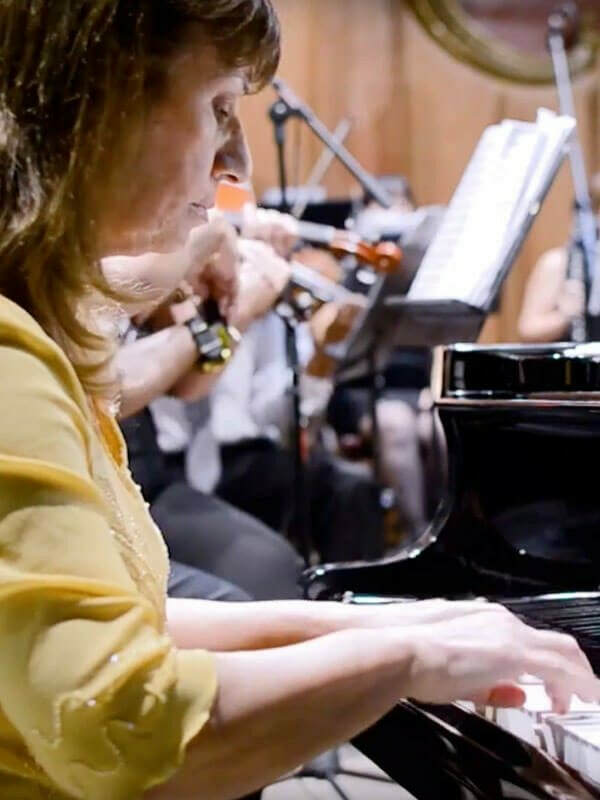 In her recital the Argentinian concert pianist, Nélida Sánchez, will present a composition that develops on the melody of the film "Limelights" by Charles Chaplin of Alejandro Cattaneo and the "5th sonata" of Sergio Martinez. The recital will also include two pieces by the talented English composer Nimrod Borenstein called "Reminiscences of childhood". The culmination of classicism in the presence of the composer who lived for most of his life in England, George Frederic Handel, and one of the public's favourite sonatas, "Moonlight " by Ludwig van Beethoven. Sergio Renè Martínez Sonata No.5 "Tetralogy of Nature"
2. "Rhythmic of the Wild Nature"
3. "Rithmic of the Planetary Forestry"
4. Conclusion: "Water of Life"
Ludwig v Beethoven Sonata Op.27 No.2 "Quasi una Fantasía"
Nélida Sánchez studied at the National Conservatory of Music “Carlos López Buchardo” under the supervision of Maestro Antonio De Raco. She graduated as a Bachelor in Music specialising in piano at The Superior National Institute of Arts (IUNA). Mª Sánchez studied at the Santa Ana Institute under the supervision of Maestro Aldo Romaniello. In 1971, she graduated and was awarded the golden medal. In 1978, she graduated as a Superior Professor of Music (piano). Since then, she has been attending masterclasses delivered by Maestros Inés Gómez Carrillo, Carlo Bruno, Simón Blech, Alexis Golovine, Poldy Mildner, Joseph Stompel, Manuel Carra, and Antonio Iglesias among others. She has also studied composition, harmony and morphology with Enrique Cipolla and Fermina Casanova. In 1991, Nélida Sánchez chaired the board of judges during the Contest of Young Pianists organised by the “Asociación Estímulo Musical de Lincoln” [Lincoln’s Association for the Stimulus of Music] (Buenos Aires Province). In 1995, she was granted a scholarship to study Spanish music at the University of Santiago de Compostela. The following year, she was invited to return and perform the works of Joaquín Rodrigo and other composers. The Asociación Argentina de Compositores [Argentine Association of Composers] has repeatedly requested her to interpret and perform for the first time works by renowned Argentine composers (Celina Kohan de Scher, Juan Carlos Zorzi, Eva Lopszyc, Alejandro Cataneo), some of which were even dedicated to Mª Sánchez. It is also worth mentioning that Nélida Sánchez was selected to perform several Argentine and Spanish works by Javier Jacinto and Josep Prohens Juliá for the first time in the world. 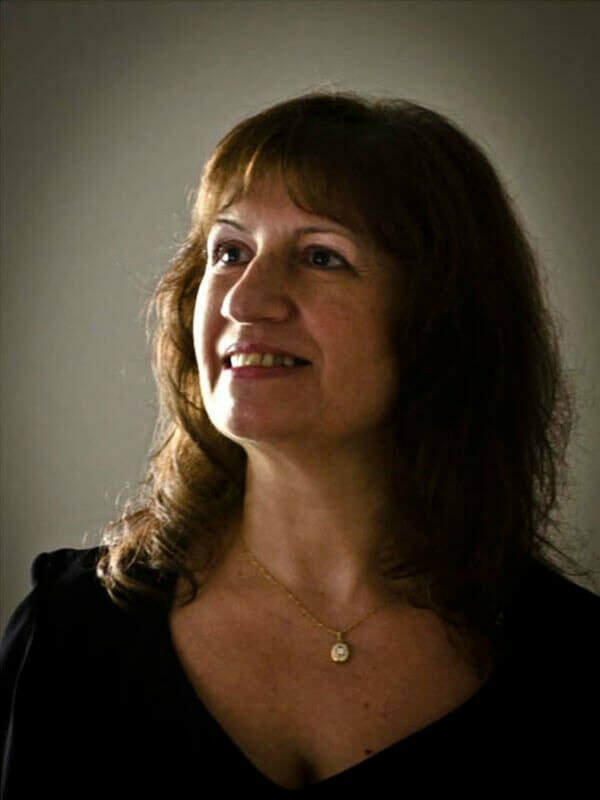 In April 2010, she premiered “Danza de la Pampa” - the first number of a series entitled “Miniaturas” by Javier Jacinto, a Spanish composer who specially dedicated this piece to the pianist. 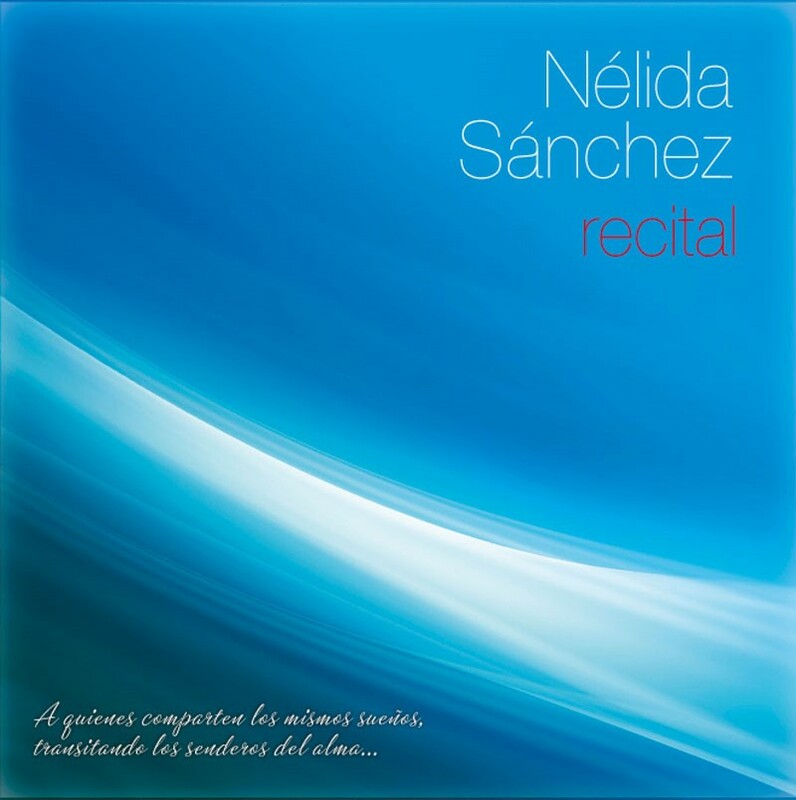 This composition was also recorded for the first time ever by Nélida Sánchez and included in her CD entitled “Recital”. In 2010, she was invited by the Consulate of Argentina in New York to both perform several pieces written by Argentine composers and the National Anthem during the celebration of 25th May (Bicentennial). In 2011 she was invited to participate in a recital and Masterclass during the 3rd World Piano Conference (WPC) at Novi Sad, Serbia. During the 4th Conference she was granted three Excellence Certificates and the Examiner status. Mª Sánchez has performed as a soloist with the Orquesta Sinfónica de Avellaneda (conducted by José Rodríguez Faure), the Orquesta de la Policía Federal (conducted by Mario Majnaric), the Orquesta de Cámara de la Biblioteca del Congreso (conducted by Rolando De Piaggi), the Orquesta de Cámara de Morón (conducted by Edgardo Cattaruzzi), the Ensamble Musical Instrumental ICANA (conducted by Juan La Moglie), the Orquesta Sinfónica de Tres de Febrero (conducted by Juan A. Duca), the Orquesta de Cámara de Lanús (conducted by Sergio Feferovich), the Orquesta de Cámara Los Espejos, -Santa Fe Province- (conducted by Raúl Vallejos), the Orquesta Sinfónica de Olavarría (conducted by Diego Lurbe), the Orquesta Sinfónica de San Martin (conducted by Daniel Batistta) and the Orquesta de Cámara de San Telmo (conducted by Gustavo Massún). She is currently working as a private Piano Teacher. In 2013 and 2017, she was appointed juror for the International Piano Competition organized by the World Piano Teachers Association. In 2013, Nélida Sánchez was invited to perform at the international events commemorating the 230th anniversary of the passing of Father Antonio Soler. Mª Sánchez frequently performs as a piano soloist, a chamber pianist, and a piano soloist with an orchestra. 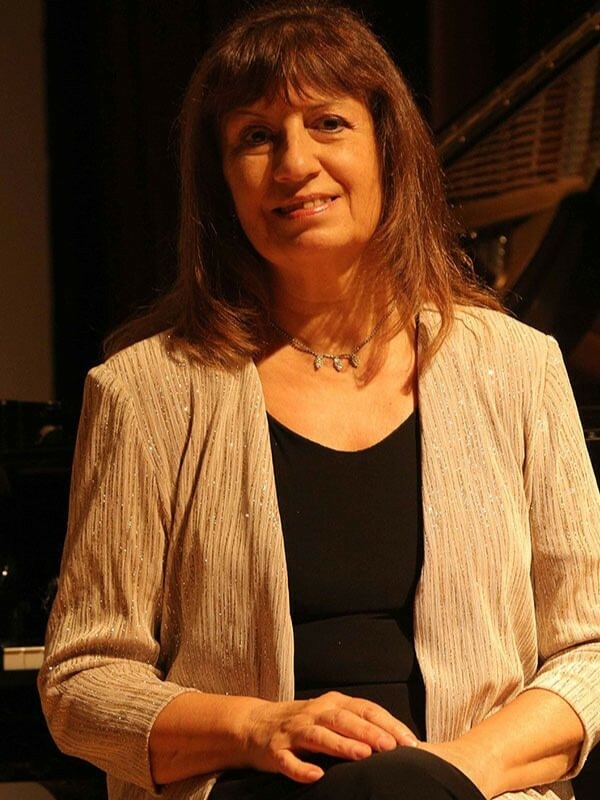 In 2018 she was elected Artist Director of World Piano Teacher Association/Argentina.